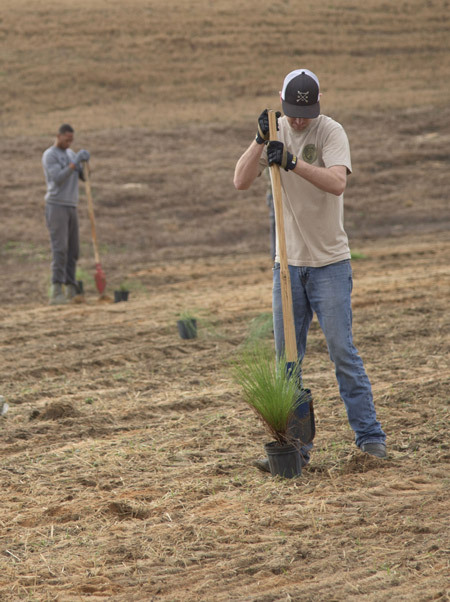 Eglin Air Force Base recently conducted a beautification and reforestation project. We hope you enjoy this pictorial of the event. 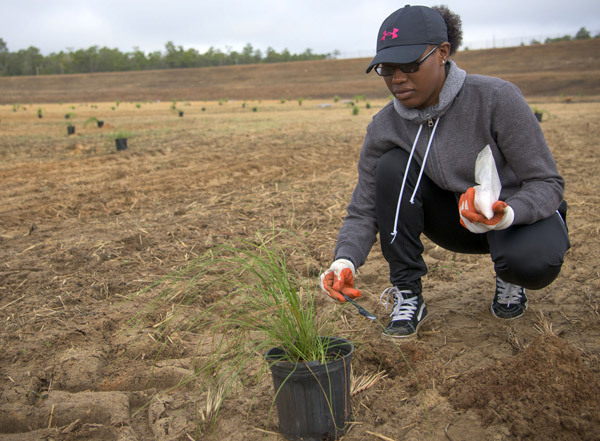 Airman 1st Class Juston Forde, 96th Aircraft Maintenance Squadron, plants a saw palmetto tree during a beautification and reforestation project Jan. 11 on the Eglin Reservation. 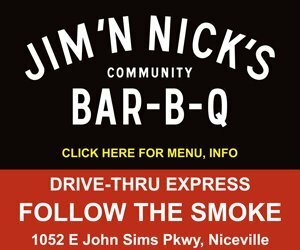 The six-day project included preparing the area and soil, sowing wild flower seeds, planting 555 Eglin seed long leaf pines and 55 saw palmetto trees to beautify the retention pond with native plant species. 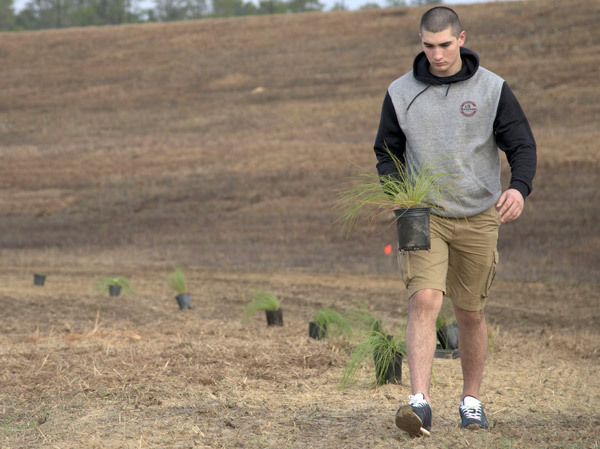 Above, Airman 1st Class Julian Wagleleal, 96th Communications Squadron, carries a long leaf pine seedling. The project also used pollinating flowers to support bees, butterflies, hummingbirds and moths. Above, Capt. Zakaria Boston, Air Force Life Cycle Management Center, uses a post hole digger to dig planting holes. Airman 1st Class Myeshia Wright, 96th Communications Squadron, drops moisture retainer in a planting hole. 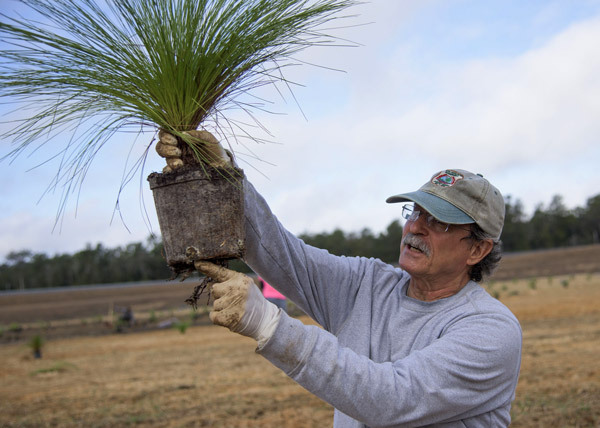 Sandy Pizzolato, 96th Civil Engineer Group, points out the long leaf pines tap root during a beautification and reforestation project.